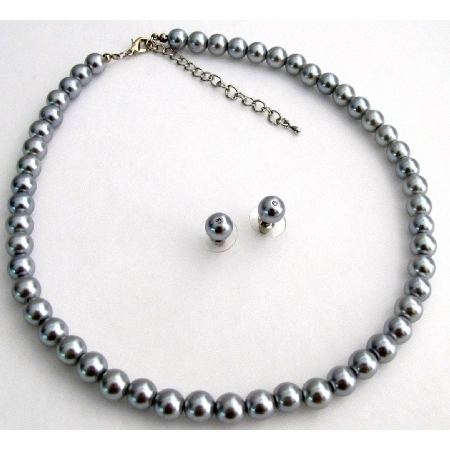 You are looking at a beautiful Silver Gray 8mm Pearl Jewelry Necklace with stud earrings. It also makes an ideal gift including necklace bracelet & earrings which can be worn together or separately for your own unique look. color Silver Gray pearls is perfect for bridesmaid or junior bridesmaid or flower girl.